Olivia Comforts is a modernly decorated hotel that attracts people with its warm appearance. The bedrooms have light colored walls that are contrasted with dark colored curtains covering the windows. The cushioned headboard adds to the comfort of the guest. Several wooden shelves and a cabinet along with a mirror consist of the furnishings in the room apart from the basic ones. 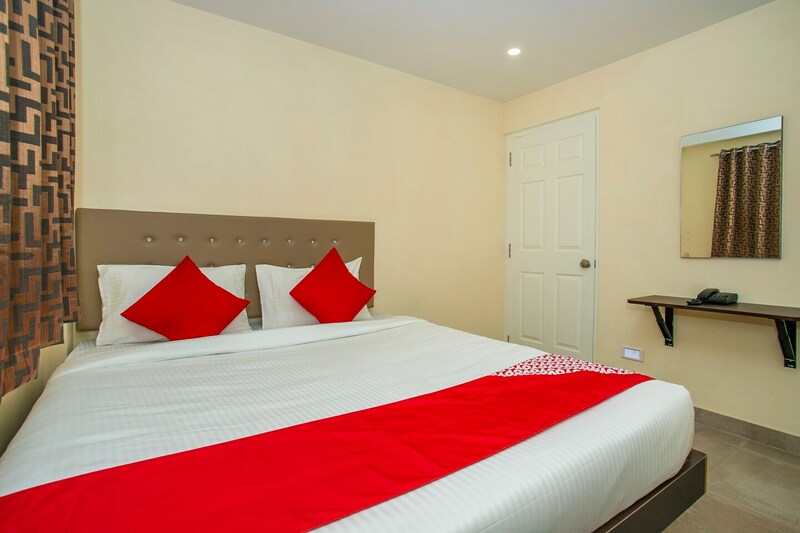 Facilities offered by the hotel include power backup, free wifi, CCTV cameras and card payment option. The hotel is situated in one of the poshest areas of Bangalore, appealing to many guests.